A very rare screen used extra large model collectable! 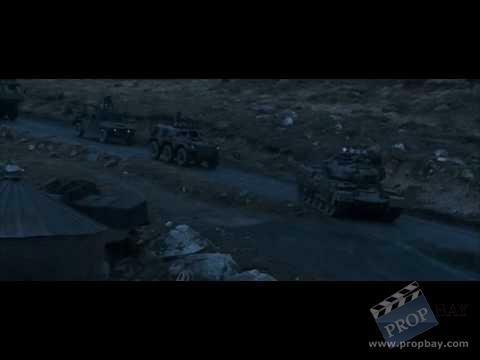 From the 2002 cult classic "Reign of Fire" , the Christian Bale, Matthew Mcconaughey starring special effects extravaganza about a horde of fire-breathing dragons that emerge from the bowels of the Earth to wreck havoc on the planet. 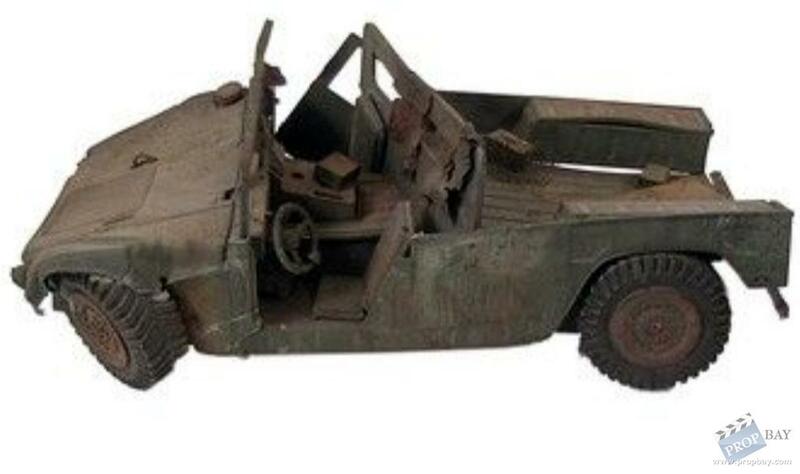 This is one of only a very few model vehicles used in the film. 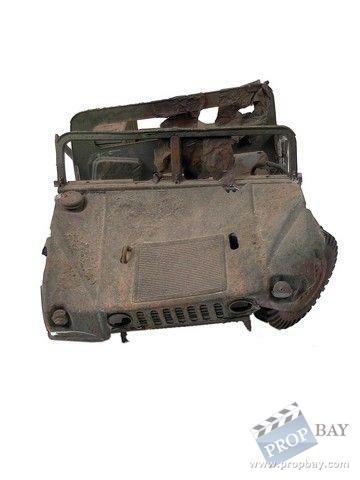 The full size jeep was used in several scenes, and then this exact replica model was used when one of the dragons does a surprise fiery night raid on the group, and is then seen destroyed the morning after. The jeep has a wood undercarriage, and is made of special Plexiglas, that has been painstakingly art-directed and painted in fine detail to give it the look of a vehicle that had withstood the fiery onslaught of a flying dragon! With extra fine detailing of cargo, storage bins and tires with appropriate melting effects. The seats are detachable for production manipulation. Since only the driver's side was photographed, Jeep was crafted with only those two tires. Comes with a Certificate of Authenticity. Jeep is approx. 30"x14"X12". Added: 01-14-2014 - Viewed: 1295 times.